Fort Wayne-based retailer Sweetwater is launching a giant week-long Black Friday / Cyber Monday sale. 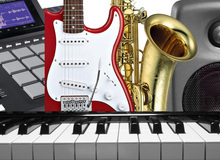 As partners, we are listing the best offers you’ll get online on music instruments and audio gear during this special week. Offers are sorted by categories so you’ll easily find what you’re looking to spend your hard-earned money for. Four years after our first poll on the topic, few things have changed in the world of audio editors, at least according to our French readers.